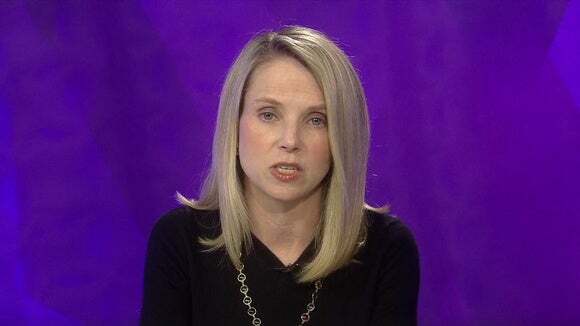 If this rumor about Verizon buying Yahoo for $5B is true, we have an honest to goodness schadenfreude moment for me as someone who remembers the days of the Buddy List, giant banner ads (which is actually still common at Yahoo Mail for some reason), and those plastic discs they might still sell at Walmart for gaining “high-speed Internet” access. As you may know, Verizon also owns AOL. Those three letters, combined with the Yahoo exclamation mark, create some vivid memories. Few of them are good ones. I remember having to wait for my modem to connect to AOL back in the day, and for the banner ads at Yahoo.com to finish loading. It’s a curious development, but it makes about as much sense as other luminous icons of tech combining into an ungodly entity driven by brand dominance. As much fun as it is to make fun of AOL, it has become more of a publisher of content than anything. They own Engadget, The Huffington Post, and TechCrunch among other things. Yet, if you asked anyone on a street corner about AOL, they’d laugh at you. “Wait, is that company still around? Do they still do dial-up?” What you may not realize even if you follow tech closely is that AOL has also become an investment arm buying other brands. It says that right on their Wikipedia page. Here’s the other infuriating part of Verizon and AOL “purchasing” Yahoo assets. What assets? I know the one-time competitor to Google has some of the highest traffic on the planet, what with all of their weather apps and such. But even Google has figured out how to break free from the old “click my banner” trick so popular in 2007. Major companies like eyeballs, consumers like innovation. That’s the problem with investors who still use a BlackBerry. They want to buy a logo. They see brand acquisition as a conquest, not a business strategy.